Small businesses have always lived and died by word of mouth. Even before the Internet, a business was in trouble if too many people said bad things about it. Fast-forward to today, when any customer can say almost anything about your business, and all the world can read it. One negative review can cripple a new business. Even an established company has to be careful not to rack up too much negative feedback. Turns out that online reviews are important. However, maybe you’re skeptical: Exactly how influential are customer reviews in the first place? you ask. Is anyone actually reading them? you wonder. And what if online reviews are just being read by hipsters and millennials? OK, so plenty of people are reading online reviews. But your next question is, do they believe those reviews? And, are those messages actually influencing where people shop? Turns out, the answer to both questions is "yes." 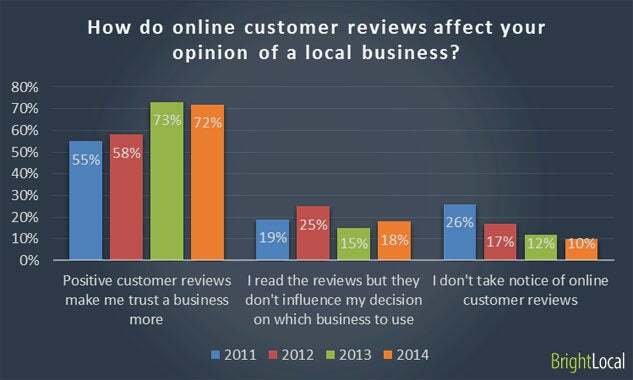 What business you’re in is key to the impact of reviews. The takeaway here is that if you’ve got a restaurant, plan on making online reviews a big part of your digital marketing. If you’re a wedding shop owner or an accountant, you’ll still want to make sure nobody says anything bad, but your business will not be quite so much at the mercy of reviewers. Customer reviews don’t influence just people. Another factor about reviews is the influence they exert on where your business is listed in search engine results. There are multiple sources for this finding, but let’s start with the most authoritative research. 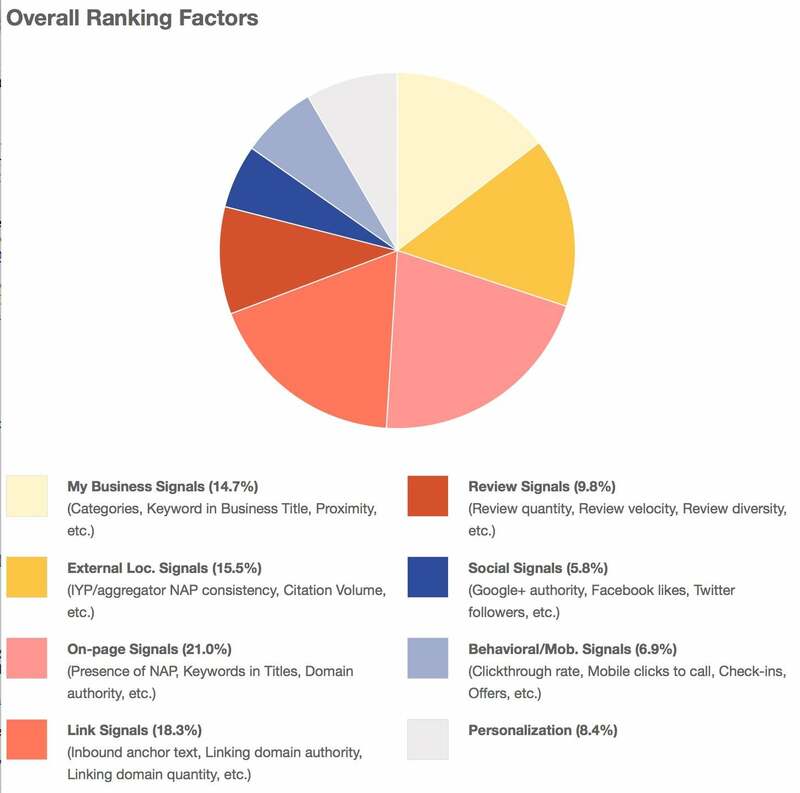 Below is a chart of local search ranking Factors, published by Moz last year. It shows that at the time of the study, review signals ranked fifth among the most important search-engine ranking factors. The more reviews you have, the better. According to BrightLocal’s survey, you need seven to 10 reviews before most people trust you. How quickly reviews are posted for your business. Too fast, and you’ll get dinged. Some customer review sites have greater authority with Google than others. 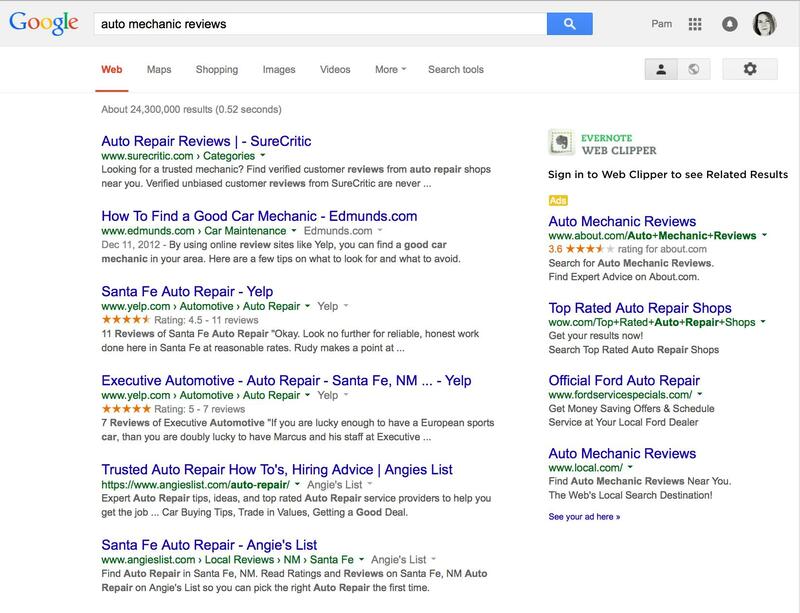 How quickly your business is accruing reviews, both on Google properties (a.k.a. “native”) and other review sites. Google’s reviews started out on Google Maps. 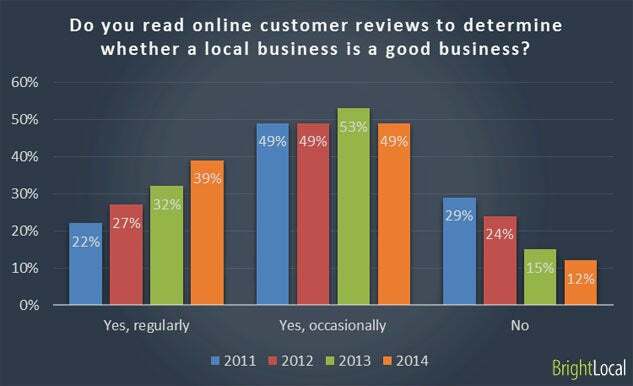 How many different customer review sites have reviews for your business? 10. 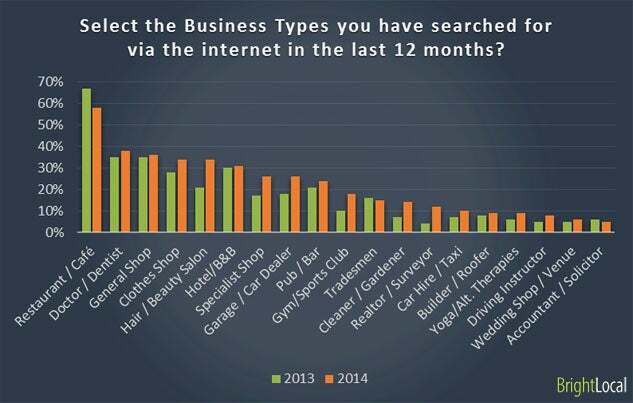 Product or service keywords in reviews. It helps to have keywords in reviews, but don’t overdo them. Some sites, like Yelp, give certain reviewers more influence than others. New reviewers on Yelp don’t even get their reviews published until they’ve submitted five reviews. Getting a review on any site from an “authority reviewer” could help your search rankings. And then there's the issue of negative customer reviews. 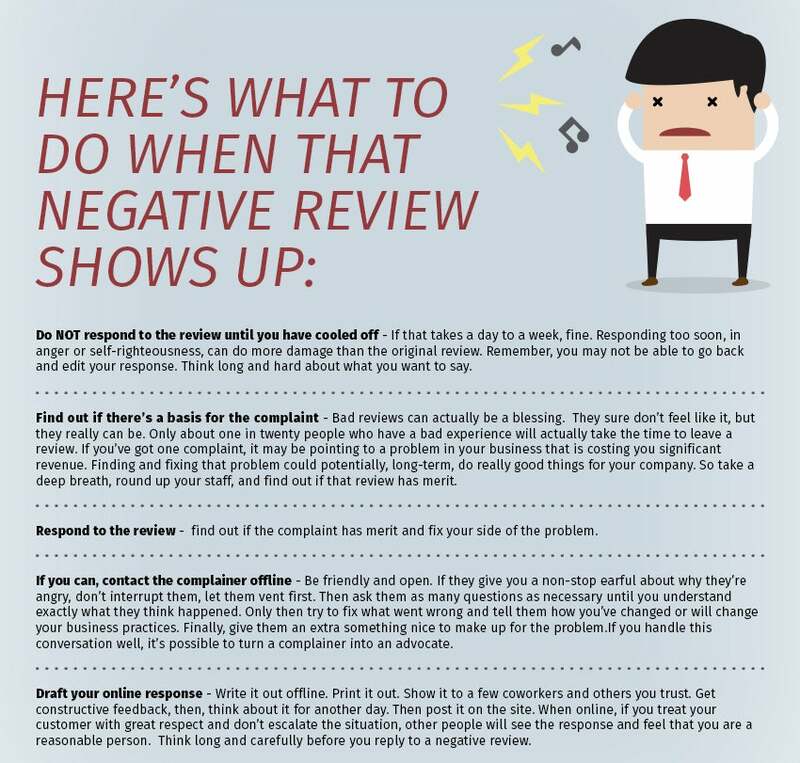 For a better understanding of how to handle negative customer reviews, take a look at this guide to small business reviews. Get reviews on sites related to your industry. Just as with links, Google wants your business to have customer reviews on sites related to your industry. 1. Search for reviews for your business type or industry. 2. Read the resulting page of search results. Here are Yelp, Angie’s List, SureCritic. ConsumerReports.org and YellowPages.com. Local.com and Wow.com are found in the paid listings. 3. Learn how to find more review websites. 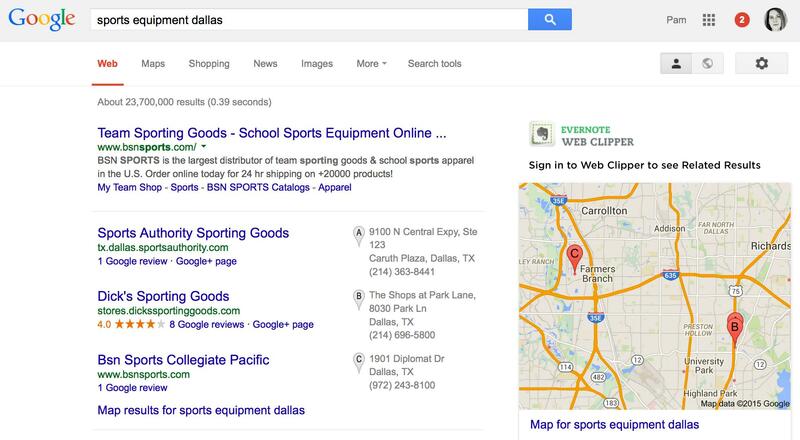 Click “Similar.” You’ll see a new page of search listings. Typically, there are a few more related sites there. You can find even more if you look on the first page of results, under the map view, in the right column from the main Google results. Given this research on how customer reviews can affect your search engine results, do you think it makes sense to invest more time in managing them? If you’ve already got a review program, leave a comment on whether you think it’s helping your search engine rankings.